The number of internet-connected smart devices has grown exponentially in recent years. From fitness trackers to industrial plant, both at home and in business the proliferation of devices being connected to the Internet of Things (IoT) are starting to have a major influence on the way we approach sustainability. In this article I want to look at how the IoT is driving sustainability strategy in industry. In manufacturing, the IoT is already having a major impact. In a 2015 survey of 600 manufacturing companies 97% of manufacturing businesses believed it to be the most significant technology change of the last decade. 83% were either using IoT tech or planning to use it within the next year. And as the IoT gains a hold in manufacturing, so its impact is being realised throughout the supply chain and across a growing number of industry sectors. The greatest impact further down the line is likely to be in warehouse and distribution management where connected devices make it easier to track products from the factory right the way through to the customer. This helps sustainability by cutting the number of miles products have to travel, ensuring that goods are in the right place at the right time to meet customer demand. In turn, this comes back round to manufacturing as it improves the efficiency of just-in-time production techniques with consequent savings on costs. 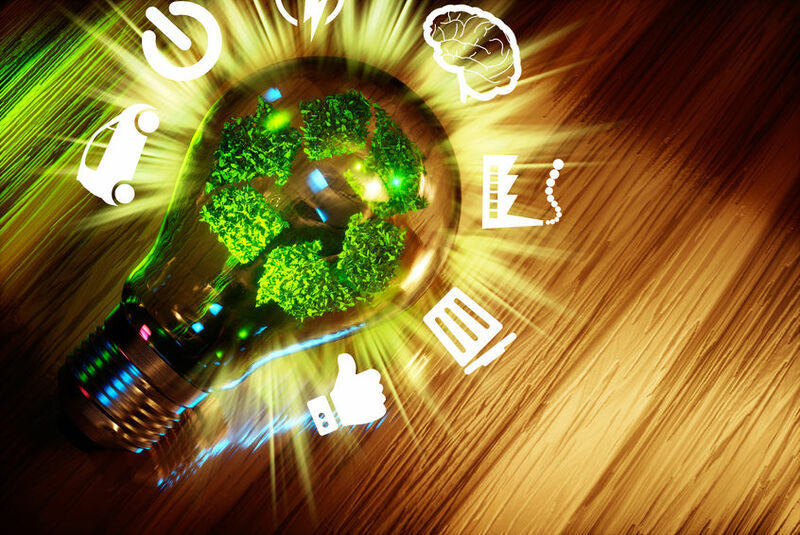 The IoT is a key facilitator of growing circular economies. By enabling devices to communicate directly to their manufacturers, an industrial plant, for example, can identify when it needs maintenance, extending its lifespan. Energy usage can be monitored accurately too, helping to promote efficiency and giving early warning of rising costs. This, in turn, means fewer products heading to landfill and more being reused or recycled. It also becomes possible to accurately track portable assets, such as vehicles and plant or even human field workers, identifying when they’re being under-utilised and reducing the distance they need to be moved when they’re needed. In the longer term, although it’s already starting to happen, we’ll begin to see the whole world around us getting smarter. In our homes this means smart meters, lighting and thermostats, giving us more control over our energy bills. In cities, it can mean smart traffic control and public transport, even rubbish collection, water and energy supplies. A smart city has the potential to run more efficiently and significantly reduce its carbon footprint. Of course, all of this needs to be managed in a safe and secure way. As we’ve seen recently, poorly secured IoT devices can be hijacked to carry out cyber-attacks. And this is a threat that’s predicted to become more widespread in the coming year. For the full benefits of the technology to be realised, there will need to be major investment in infrastructure and in managing risks. But the potential savings in terms of both sustainability and cost are significant too. One of the huge challenges with this vast proliferation of IoT devices, in both industry and private life is making good use of the huge volumes of data they are creating. For big manufacturers, this means understanding the data topology of the data that their business is generating and how it is all interconnected. It’s pointless collecting energy usage data from your manufacturing plant if you’re not able to put this data to good use and drive better efficiency. Creating data through IoT connected tech is one thing but businesses need to find the capacity to process this data in a meaningful way. Internet of Things connected tech is only one side of the coin then. Only when all this big data is fed through the right kind of sustainability data management system and sustainability strategy is adopted at an organisational level, will businesses really begin to reap the benefits long term. In the last couple of decades, we’ve seen far greater political will to move towards a sustainable society but there are still huge challenges. Whilst government does play a role, it’s businesses that need to recognise the potential for sustainability to deliver a competitive advantage. Building a sustainable future represents a major challenge, but there’s little doubt that Internet of Things technology is going to play a major part in delivering it.